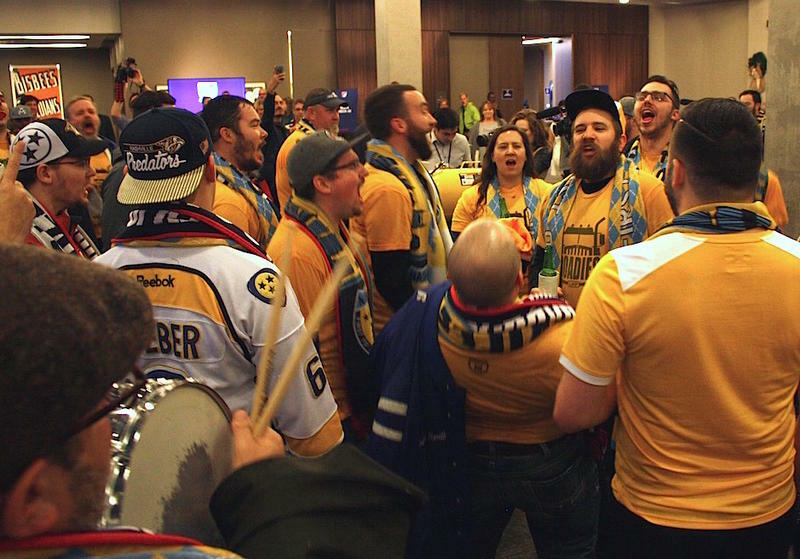 The Roadies — supporters for Nashville SC — rallied in force for the MLS announcement in Nashville and are preparing to welcome a wave of new fans. Major League Soccer has issued its vote of confidence that Nashville can support a top-level team. They’ve said the demographics look good on paper — with millennials and a large, soccer-inclined immigrant population — but there’s still much to do to build the fan base, which will be crucial for the franchise. So while Nashville SC already has a rabid supporters group, called the Roadies, fan club president Newton Dominey said he is now feeling pressure to run a pro-caliber group, and one that expects a wave of new fans. He wants to make sure the current members are good ambassadors. “One of things we’re trying to do is set a tone for new fans, to make sure that people do feel welcome, and it’s OK to ask questions, and it’s OK to not know what the heck’s going on,” he said. 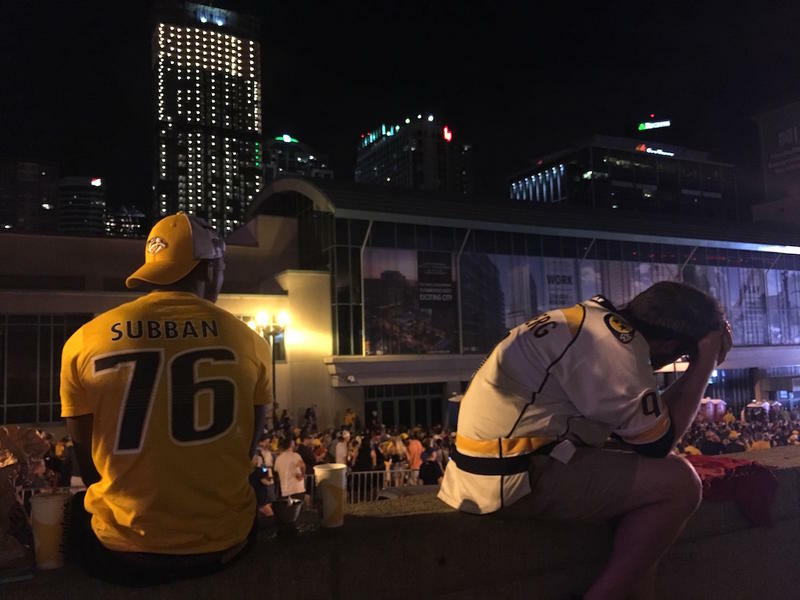 Nashville has been through a sports learning curve before — learning to be a southern hockey town. And Dominey sees the explosion of Predators fandom as an advantage, not competition. 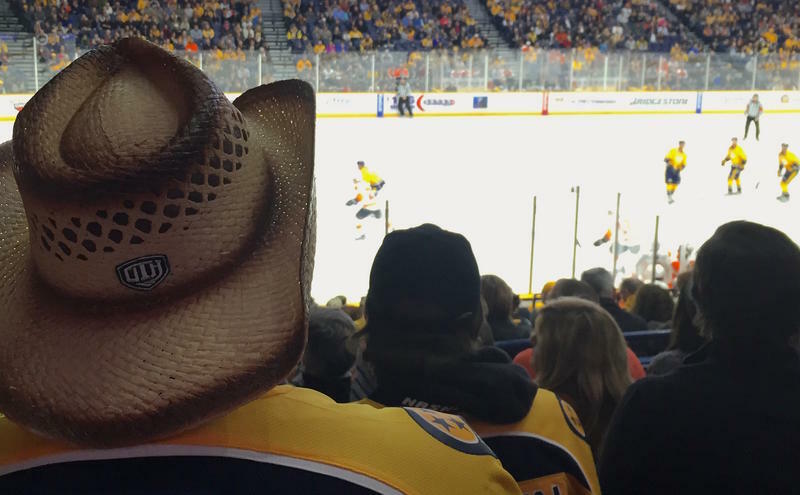 “That actually helps Nashville as a soccer city, that we’ve had hockey for 20 years now. And so people understand the concept of offside and people understand the concept of a possession-based sport,” he said. Plus, Dominey says, few Nashvillians have allegiances to other American soccer teams, so they’re free to get on board. New fans will need to sort out one complication: Right now, the existing Nashville SC is about to begin its first season in the United Soccer League. That itself has been a big deal, as it is the second-highest pro level in America. But then top-tier MLS will arrive soon after. Current fans say the flurry of activity isn’t a problem — and there’s a good chance that the current Nashville SC will smoothly morph into the top-level team, including keeping the name. He and MLS officials couldn’t yet say when that team would begin play. 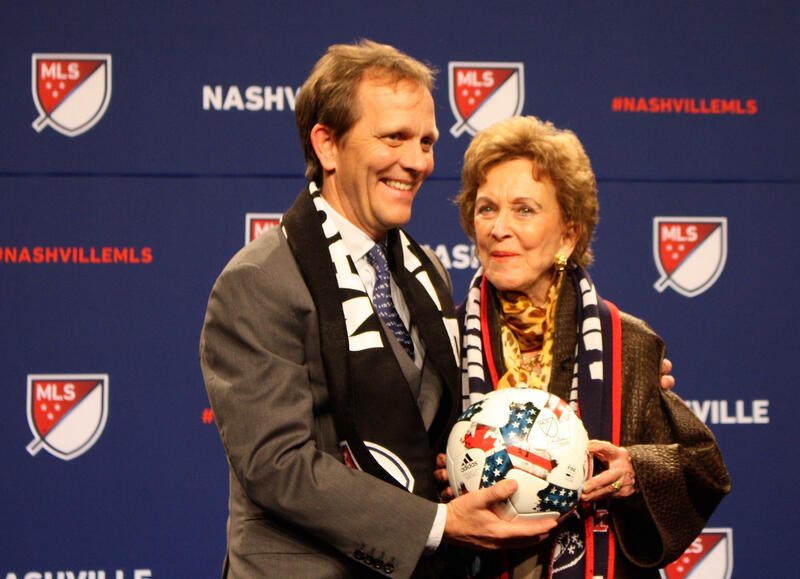 John and Martha Ingram celebrated the MLS decision to award a new franchise to Nashville SC. “Our goal is to launch the best USL team we possibly can, and it’d be great if we can set records for ticket sales,” Ingram said. Superfan and season ticket-holder Davey Shepherd said he sees the Major League Soccer announcement as jumpstarting the fan base now, for the current squad. “We should be selling out every game in the USL next year. I think that’s a very reasonable target,” Shepherd said. While cautioning that MLS tickets will be more expensive, Shepherd notes that they’ll still be more affordable than the Titans or Preds, which could be a sweet spot for the city’s latest pro franchise. The most recent home game for the Nashville Predators went twice as long as the typical game and took a toll on the screaming voices of their loyal fan base. Before they play again tonight — with their season on the line — WPLN sought out a voice coach to explain how diehard fans can get the most out of their chants. 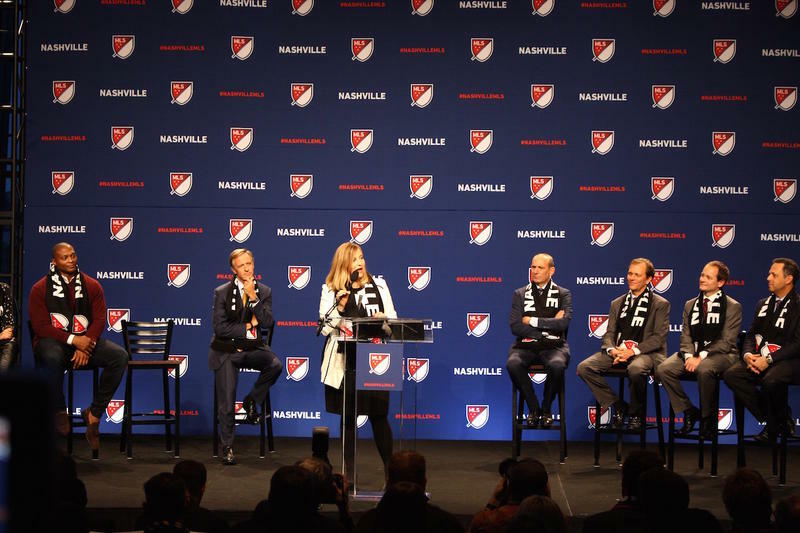 It’s official: Major League Soccer is bringing a top-level team to Nashville. Calling it a “city on the rise,” MLS commissioner Don Garber made the announcement at the Country Music Hall of Fame on Wednesday afternoon. The Pittsburgh Penguins hoisted the Stanley Cup in Nashville Sunday night, notching back-to-back NHL championships and ending a historic run for the Predators.